The Provincial Public Security Bureau Vehicle Management Office issued a notice on July 30 that all imported motor vehicles that had been purchased by the dealers before July 22, or had been purchased by the user but did not meet China's automotive safety technical standards, were rectified and passed on September 30. Recently, the local inspection and quarantine agency applied for registration and inspection procedures. The owner of the vehicle handled the â€œInspection Certificate for Imported Motor Vehiclesâ€ with registration and inspection procedures and went through the local vehicle management office to go through the licensing formalities. Any goods purchased or purchased after July 22 will not be subject to registration, inspection, and licensing as long as they do not meet the "Technical Conditions for Safe Operation of Motor Vehicles." Lu Wei, director of the Vehicle Administration Office of the Public Security Department of Shandong Province, introduced that in recent years, some importers have imported some motor vehicles in small batches. 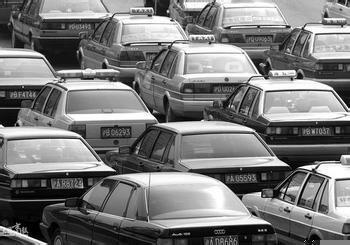 There are widespread vehicle identification codes, turn signals, and product signs that do not meet Chinaâ€™s national standards. The so-called "small batch", "small 3C" imported cars. Due to non-compliance with China's national standards, individual consumers cannot use the card after purchase. It is estimated that there are about a few thousand such vehicles in the province. In order to solve this problem and safeguard the rights and interests of consumers, according to the relevant regulations of the state, the Vehicle Administration Department of the Provincial Public Security Department issued the above notice.